KEEP YOUR SANITY AND YOUR KITCHEN CLEAN THIS YEAR!! NOW AVAILABLE YEAR ROUND AT THE SAME LOW PRICE!!! Why not leave the cooking to us!! A complete Turkey dinner to go. 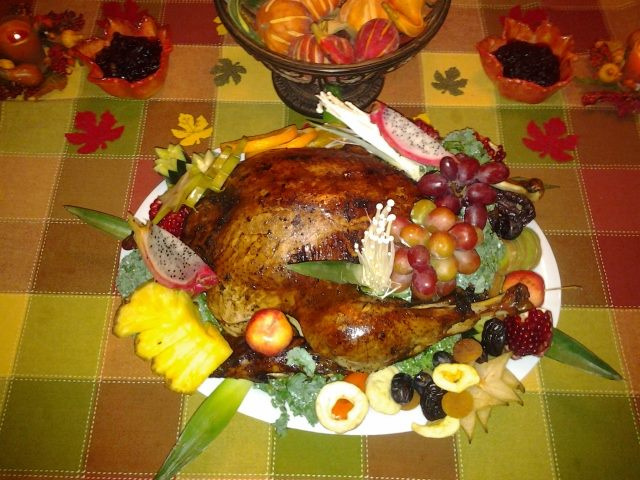 Your beautifully decorated turkey dinner will have you in and out of the kitchen in no time. This is the best value in town!! How does this sound? Large portions, great tasting and you kitchen stays CLEAN! BEST VALUE IN TOWN! Please note: If snow occurs on your delivery day there will be an additional ($25 Vancouver and $35 elsewhere), charge for delivery in the snow in additional to the delivery charge.